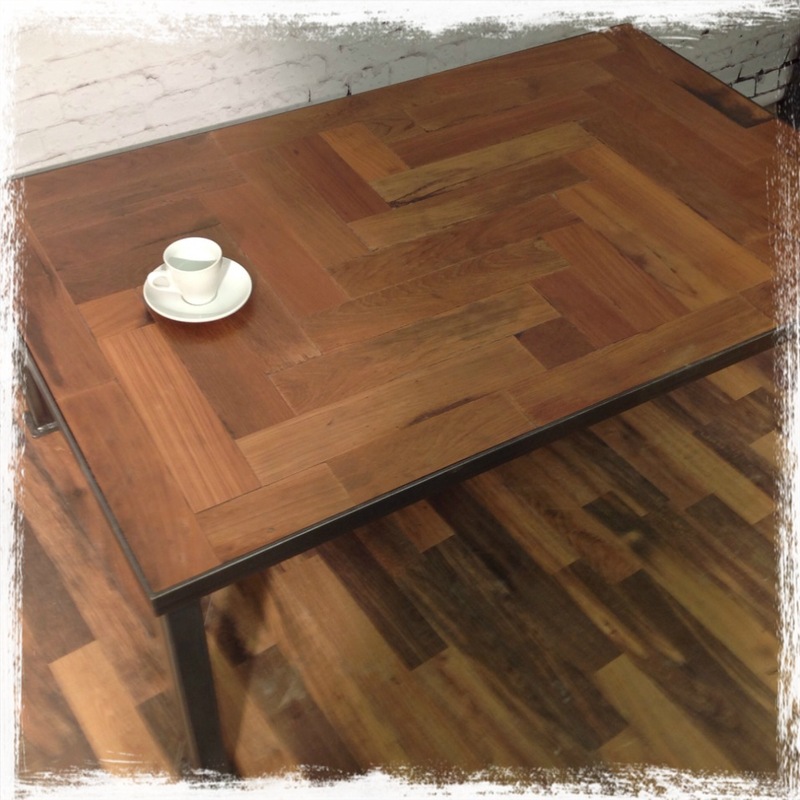 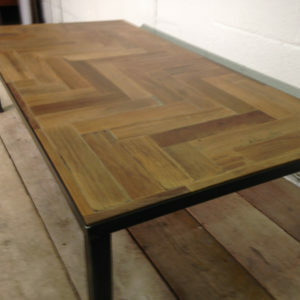 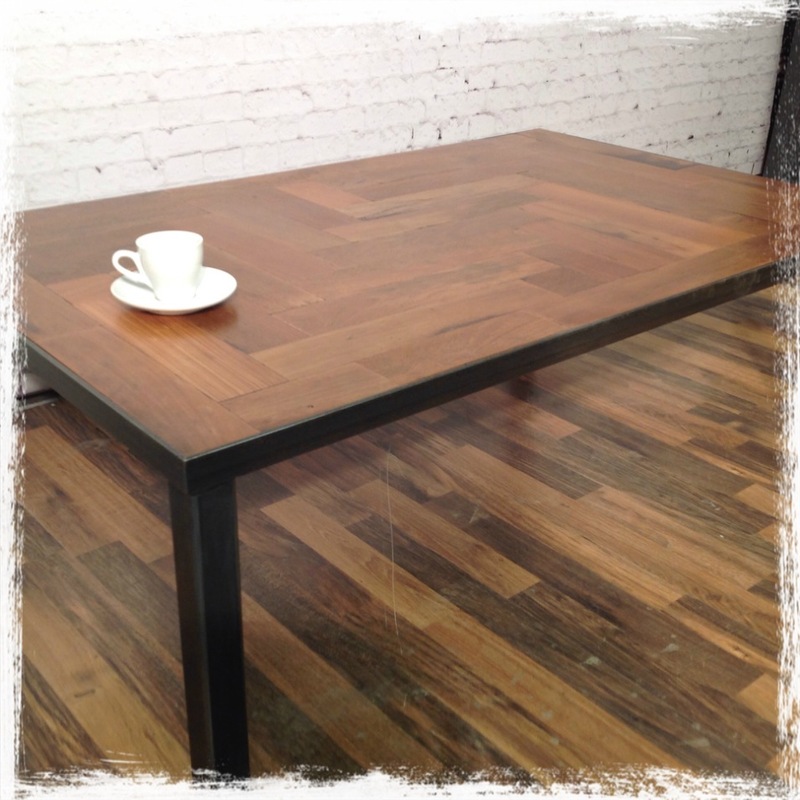 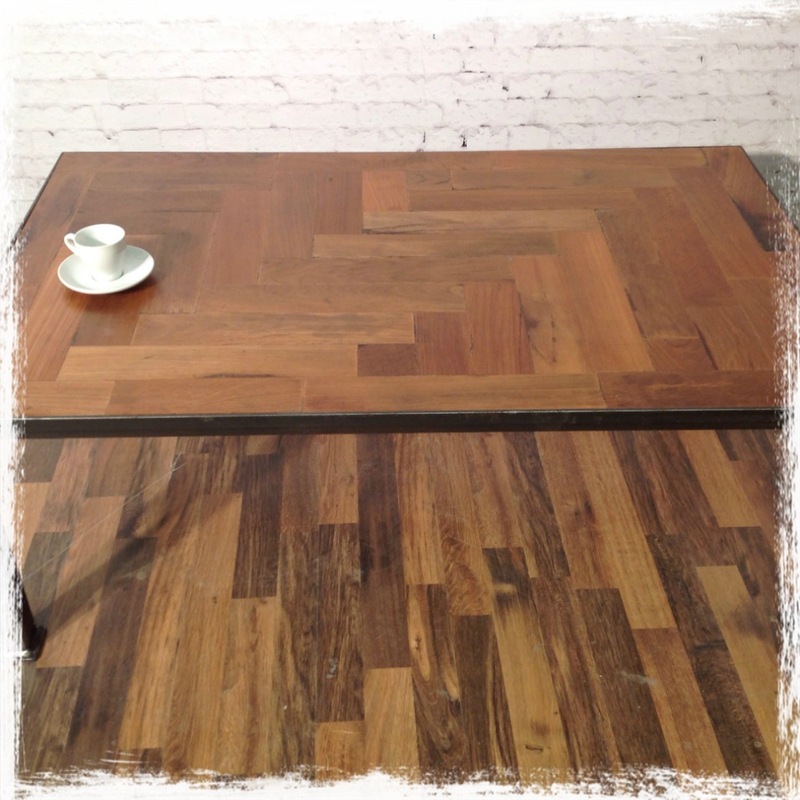 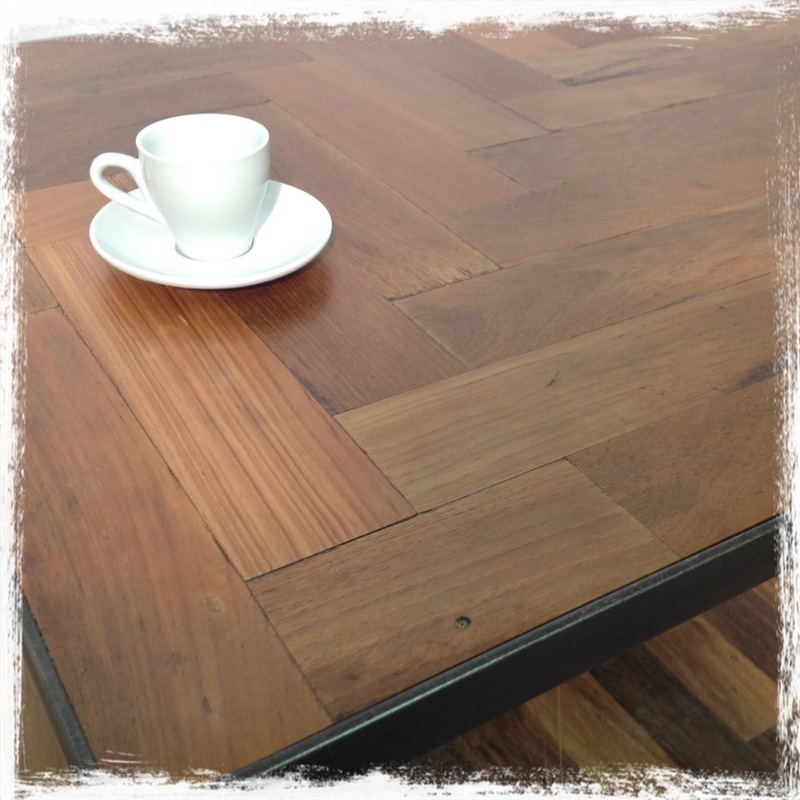 Industrial reclaimed parquet flooring and steel tube coffee table. 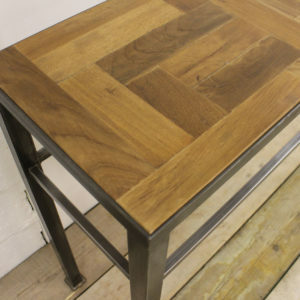 This is one of our original pieces and still one of our favs! 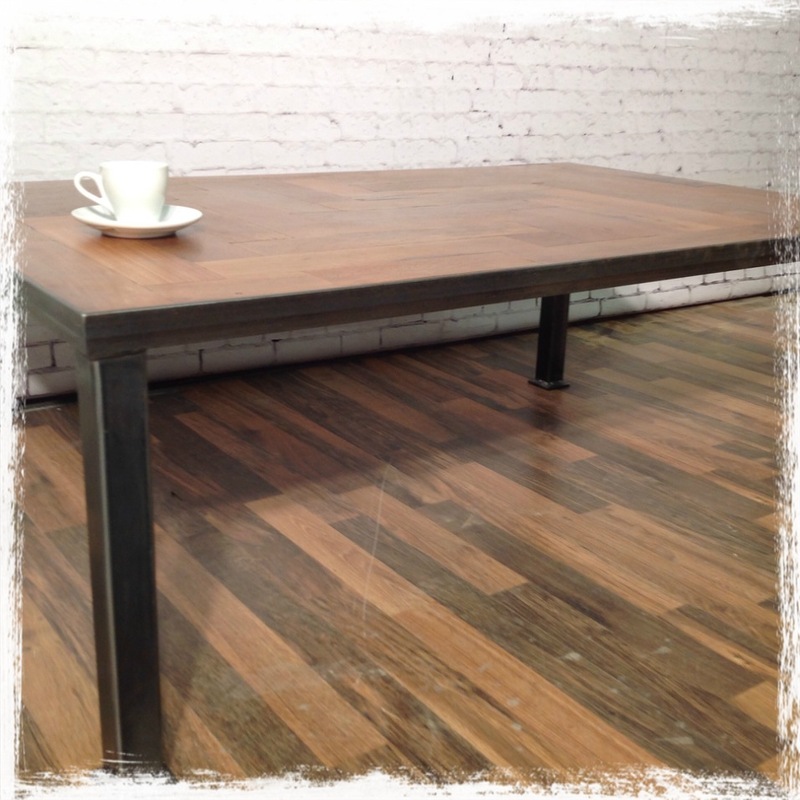 The steel is all hand welded then finished with wire wool and bees wax giving a blue gunmetal appearance. 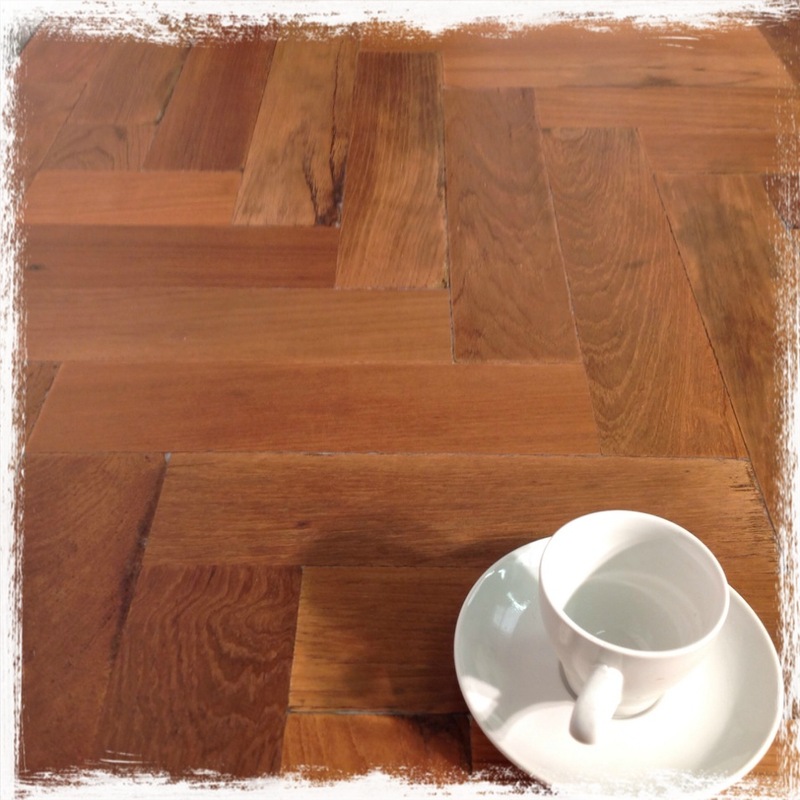 The parquet blocks are hand picked, sanded, glued back together and also finished with beeswax. 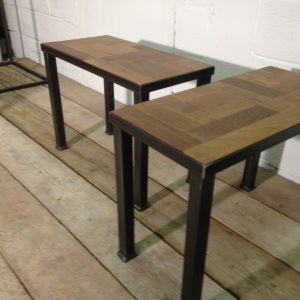 The steel frames can be powder coated in virtually any colour, some examples will follow soon.